#UNMDIVEST | لماذا غزة؟ Why Gaza? Money speaks. It always has, it always will. So it’s completely logical to me that if you target the wallet of the recalcitrant person, businesses, government or country, you’re bound to get their attention. If your action hurts them enough, they may change their bad behavior. In a nutshell, that’s exactly what the Boycott, Divestment and Sanction (BDS) movement is all about. This Wednesday evening, BDS comes to Albuquerque. 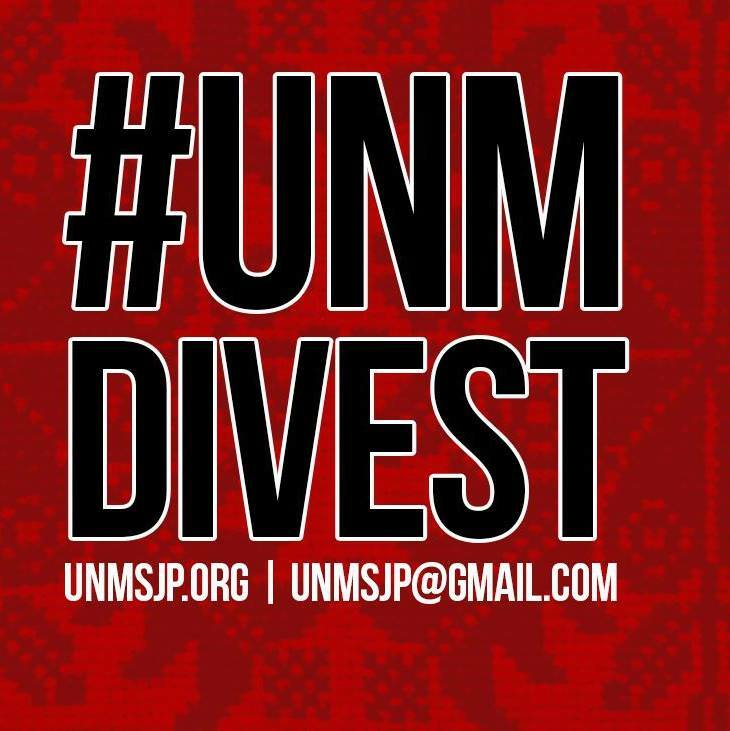 UNM Students for Justice in Palestine (UNMSJP) is asking the university to divest from Israel. There’s a campus divestment movement all across the country, and it appears to be building steam. The goal is to pressure Israel to end its illegal occupation! In addition to divestment actions, there’s a growing academic and cultural boycott gaining international attention. 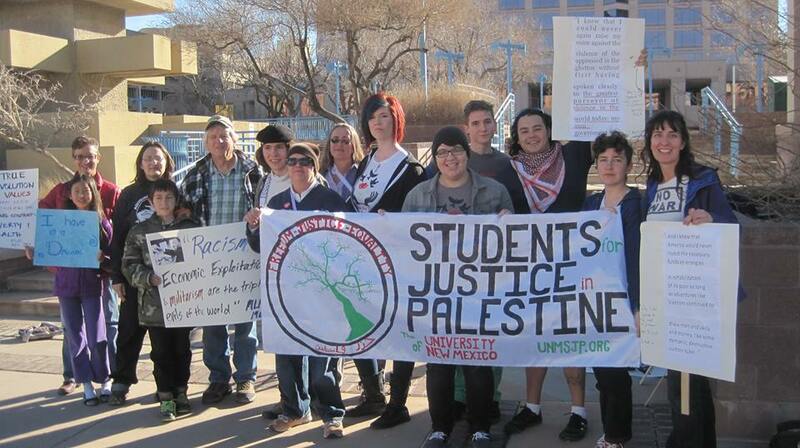 In February, the Academic Studies Association voted to boycott Israeli universities. The ASA’s vote raised the stakes considerably; its members were either condemned or praised. What I was witnessing was the first true campus-wide discussion of Israel’s occupation of the West Bank and its alleged violations of Palestinian human rights. And it was a discussion that had grown to involve hundreds, and maybe thousands, of students. The students at Loyola University in Chicago succeeded on March 18th to pass a student government resolution to divest from companies complicit in aiding the Israeli Occupation, calling on the University to remove its holdings from eight specific companies that play active roles in Israel’s human rights abuses. Harvard, Princeton and the California university system have also considered Israeli divestment resolutions this year, with faculty as well as students getting involved in the debate. What will University of New Mexico do? We’ll know very shortly.